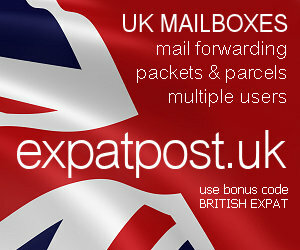 British Expat Forum • View topic - Trek? I posted it on the "suggest new forum" board, but i thought it might have a wider readership if i asked here as well...anyone intrested in a Star Trek board? or a sci-fi one? anyone have any experience 'simming'? With all the folks who are now members here, i thought there might be someone other than me who will admit to being a trekker. Anyone ready to 'fess up? justajester2003 wrote: I posted it on the "suggest new forum" board, but i thought it might have a wider readership if i asked here as well...anyone intrested in a Star Trek board? or a sci-fi one? anyone have any experience 'simming'? With all the folks who are now members here, i thought there might be someone other than me who will admit to being a trekker. Anyone ready to 'fess up? justajester2003 wrote: wanna step outside? A fight? Nah...it's too cold out there for me, i just wanted himself to step outside Smarty pants, he is. I bet Captain Janeway could beat him with one arm behind her back. justajester2003 wrote: A fight? Nah...it's too cold out there for me, i just wanted himself to step outside Smarty pants, he is. I bet Captain Janeway could beat him with one arm behind her back. Blade Runner! YES...one of the greatest...i can't count the number of times i've seen it. And take out Arnie, and all the hokey effects, and i think the premise of Total Recall was a good one. I've yet to see Matrix, but according to some people i trust, it is wonderful...it's on my list of "things to do on the weekend"
justajester2003 wrote: Blade Runner! YES...one of the greatest...i can't count the number of times i've seen it. And take out Arnie, and all the hokey effects, and i think the premise of Total Recall was a good one. I've yet to see Matrix, but according to some people i trust, it is wonderful...it's on my list of "things to do on the weekend"
Matrix is great, 2nd one was a little disappointing, trailers for third one look amazing. Also saw the trailer for third LOTR, that looks awesome. I have my alien suit on, my ship is warming in the bay...where shall i go today? You know, if SWIMBO comes back from her holiday and sees no one else has been on here, she may take this board away...and i'd be terribly sad. Isn't anyone else out there a sci-fi type? Come on, quests and lurkers, sign up and join me...please? I know you are out there...maybe waaaaaaaaaaaaaaay out there, but let me know if you are from this planet...well, let me know even if you're not. anyone interested in terra-forming Mars? Can it be done?